In this sizzling debut for fans of The Devil Wears Prada, Wall Street banking analyst Allegra Cobb plans to quit the minute her year-end bonus hits her account, finally pursuing her yoga career full-time. But when she forms an intense relationship with the #InstaFamous guru who may hold the ticket to the life Allegra's always wanted—she's not sure if she'll be able to keep her sanity intact (and her chakras aligned) until bonus day. Allegra Cobb’s resume: Straight-A Princeton grad, second-year analyst at a top-tier bank, one-time American Yoga National Competition Champion. Allegra Cobb’s reality: Spends twenty-four hours a day changing the colors on bar charts, overusing the word “team,” and daydreaming about quitting the minute her year-end bonus hits her account. She has no interest in the cutthroat banking world—she’s going to launch her very own yoga practice. But her plan isn’t quite as perfect as the beachfront yoga pictures she double-taps on Instagram. On top of the 100 emails an hour and coworkers already suspicious of her escape plan, Allegra's hard-driving single father has always expected fiercely high achievement above all else. That his daughter works on Wall Street means everything to him. Still, she marches on, taking it day by extremely caffeinated day. But after (1) unknowingly sleeping with the man now leading her banking cohort on one of their biggest deals to date and (2) meeting the #blessed yoga guru who might just be her ticket to the life she’s always wanted, it really hits her: her happy-ever-after will be harder to manifest than she thought. Fast-paced, laugh-out-loud funny, and totally irresistible, this is the story of a fearless young woman determined to center herself in the life she truly wants. Madeleine Henry worked at Goldman Sachs and in investment management in New York City. She graduated from Yale in 2014 where she wrote comedy for The Yale Record, America’s oldest college humor magazine. 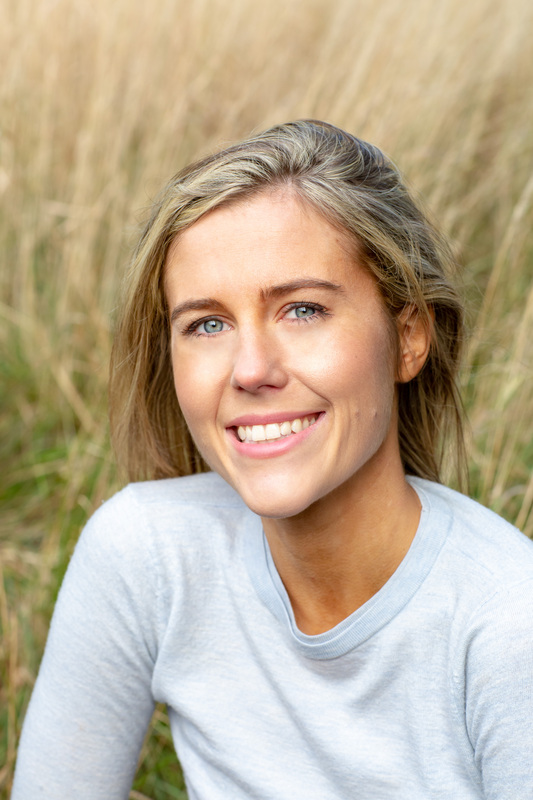 Now working on her second novel, she shares more information about her life, writing, and yoga practice on @MadeleineHenryYoga. Breathe In, Cash Out is her debut. "As a blessedly former financial analyst at Salomon Brothers, reading Breathe In, Cash Out gave me shudders of PTSD. The untenable lifestyle, the claustrophobia of the job, and the risks to one’s personal health are drawn so realistically — this is a portrait of the devil in Big Finance, which promises untold riches in return for serving an inhumane master. Allegra’s fictional story is raw, unnerving, and sadly, very true." 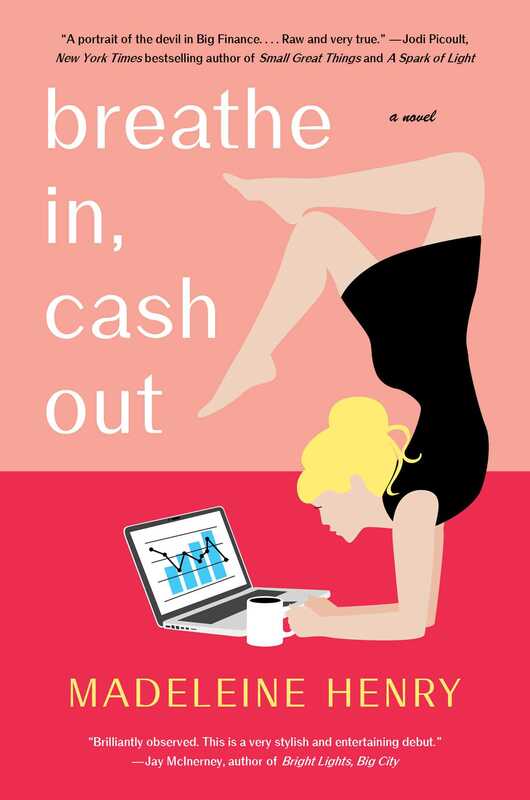 "Madeleine Henry’s Breathe In, Cash Out, is a satirical romance, or, perhaps, a romantic satire, that improbably and hilariously juxtaposes the worlds of investment banking and yoga, sparing neither. Her portrait of the ambitious, sleep-deprived, paranoid peons of Wall Street, and their tyrannical masters, is brilliantly observed. This is a very stylish and entertaining debut." "Breathe In, Cash Out is a complete delight. Madeleine Henry’s writing is funny and as bracing as her heroine’s daily caffeine intake (which is insane). But this novel is more than entertainment: it's a compelling, thoughtful story about how women work today--our ambitions, our uncertainties, and the pressures we’re under to please others as much as ourselves. Henry probes these issues with wit and warmth and a keen eye for the absurd. The result is a modern fairytale, a romance that’s not about finding the right guy, but finding yourself."